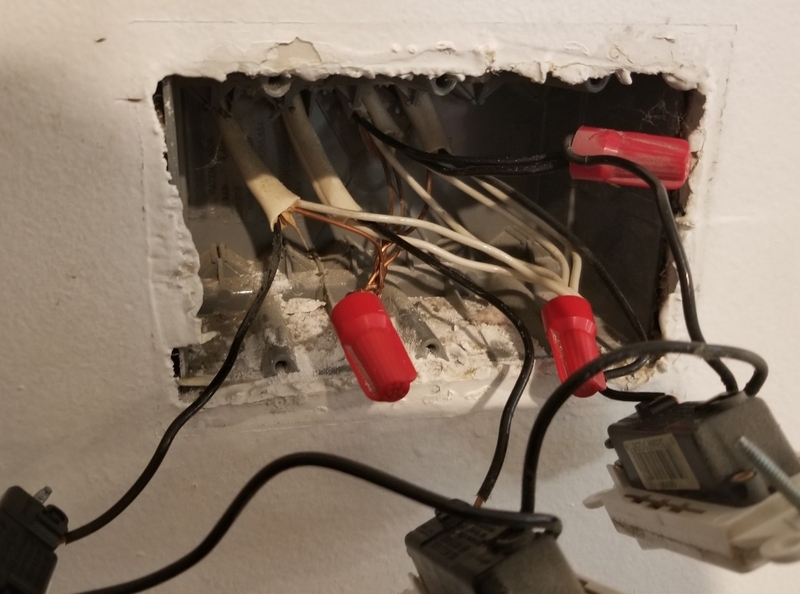 I'm trying to install smart switches, which obviously need a neutral wire. I'm pretty sure I am lucky enough that I have it, but, want to make sure and also find out how to use it. I've attached a diagram of what is inside the 3-gang box that I have. There are 3 switches that are on the same circuit (all go dead with the same breaker) - one for lights, one for a fan and one for another fan. The red in the diagram are actually white in the box. Green is ground and black is black. 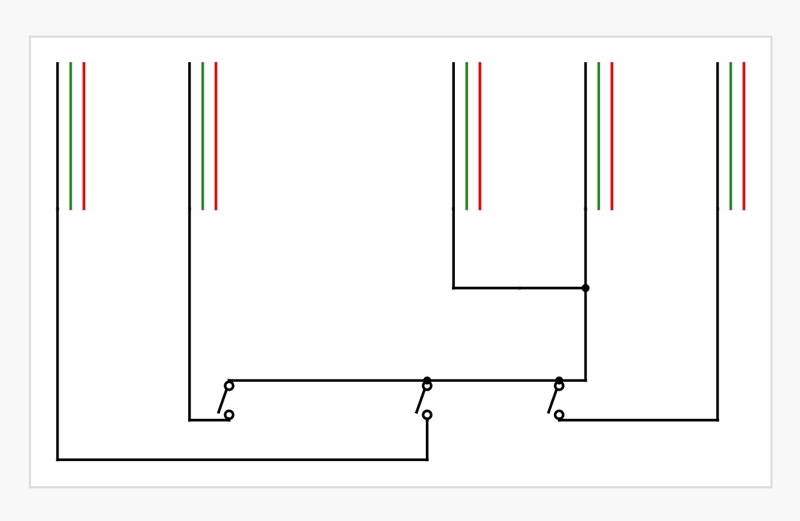 The diagram does not demonstrate this because it would look unnecessarily complicated, but all of the ground wires are bundled together with a wire nut, as are all of the white wires. The grounds are not connected to the existing switches, nor are the white wires. For now I am just installing a smart switch on one of these. First, is this possible....are the white ones actually neutrals like I am hoping? Second, do I just take one of the white wires and connect it to the neutral spot on the switch? Third, do I need to take one of the grounds out and connect to the switch also? Should the existing switches also get grounds? On the hots, you can add the switch hots via pigtail to that nut with the black wires. Yes, when all the wires in the bundle are white, that is neutral. Do Not split up the neutral bundle, those are not spare, those are how current returns. The only reason you're thinking that is because you don't have any pigtail wires or wire-nuts on hand and you can't see how to connect without those things. Go get them! You need to add your neutral wire to the bundle. Since that bundle is pretty full already and I gather you will have 3 smart switches, I recommend adding a white pigtail to that bundle and joining the switch wires to the pigtail with another wire nut. It sounds like this should be a simple change since you have both neutral and ground pigtails in the box. Remove the existing switch with the breaker off. Tie the neutral white to the bundle of whites and the ground for the switch to the ground bundle, the other 2 wires will go to the switch. If there are 3 left on the switch then 1 of those will need to be capped off. Usually black is hot, red is switched hot. The instructions for the switch will usually show a schematic or wiring diagram. Not the answer you're looking for? Browse other questions tagged electrical wiring switch neutral or ask your own question. Do neutral wires need to connect? How should I connect a new smart switch?